"Be still and know that I am God! I will be honored in the whole world. " Having a quiet soul these days has been a great challenge in the face of so many demands and responsibilities. Conflicts, illness, always occur at less expected moments. Oh, because our heart is deceitful, deep down we think we have the control, the answers, the ability, and the conditions to solve problems. But in fact we do not! This time our greatest challenge as children of God is to practice this counsel, this command, "Be still and know that I am God." This word came to my heart when I learned that I had a complication after cholecystectomy and that I needed to undergo a new surgical procedure in an attempt to repair a fistula in the biliary tract and drain the biliary fluid that circulated in my abdomen. Receiving this news, after almost three weeks suffering from pain, frustrated and debilitated, my heart sank with deep concern. Then I thought, And now Lord? You give me this word, for there is nothing else but to quiet my heart and believe that the Lord is God, even when things do not seem to improve. That morning of the 31st of July, for the second time, the surgery was performed and after 24 hours my situation became even more complicated. Then I was taken to the ICU with an initial generalized infection and the antibiotics were not working. 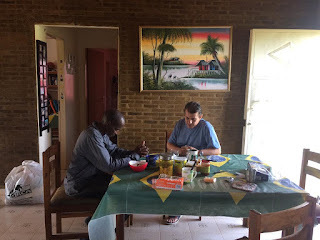 And that's when God started to operate ... Two missionary doctors together with my wife Joana talked to the clinic doctors in Dakar where I was hospitalized to change the antibiotics and finally the surgeon changed the antibiotics. By Friday, July 3, I was feeling better, but this second surgery had not solved my problem, so the fistula was still open and the biliary fluid was still in the abdomen. This is how my wife and the missionary doctors concluded that it would be better to transfer me to a better place. On August 5th, I was then transferred through an ambulance plane to a private hospital in Portugal. It was a 7-hour flight in a twin-engine airplane, and on many occasions I thought I would not resist this flight. The company that made the transfer asked for $ 46,000 and this amount needed to be made at the time of requesting the service. Miraculously, the money came from the United States borrowed from the New Tribes Mission, with which we work. Now at the Hospital da Luz in Lisbon, I was very well attended. After 12 days of hospitalization at this hospital I was discharged, there were two interventions and seven days of constant care and struggle to fight infection, and the last 5 days were for observation and recovery. The brothers and sisters in Christ from all over the world, interceded for me, for my family, offered and publicized this financial challenge in social networks. Our debt was $ 65,000 including airfare tickets and hospital expenses. 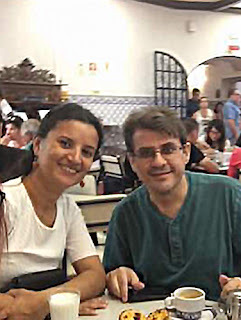 Soon after I was discharged, I stayed in Portugal for a few more days, with friends who welcomed us with great love throughout the time I was in convalescence. The most important of all that has happened to me is that God acted through the prayer of all the brethren in Christ and He answered the prayer of a son of his who was in difficulty through all who prayed. God hears the cry of his people. Beloved, God is acting, and the purpose: To teach to quieten our hearts, to trust in Him, to learn that the church of God is beyond the four walls, beyond denominations, and that God is responsible for his name to be honored among all the Nations. Today after 4 months, our debt is all repaid. Praise God with us, because his name has been honored in the whole world. Thank you for you generosity. Note: Jefferson and Joana are missionaries in Senegal, working with the planting of indigenous evangelical churches among the Manjaque people. Jefferson arrived in Senegal in 1995 and Joana as a wife has been with him since 2008. 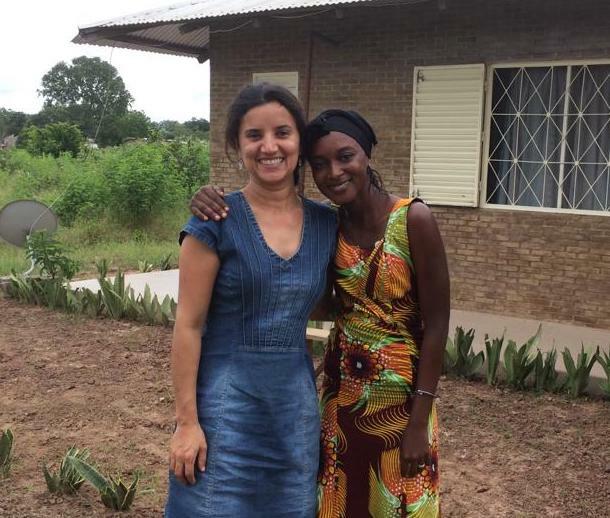 She holds a Nursing Degree in Senegal and serves as a volunteer nurse at a health center in Sedhiou, where she lives and works. His sons Daniel and Luke study in a school in Dakar for Missionary children. Daniel is at his Senior year in High School, and Lucas is at the Second Year of High School. 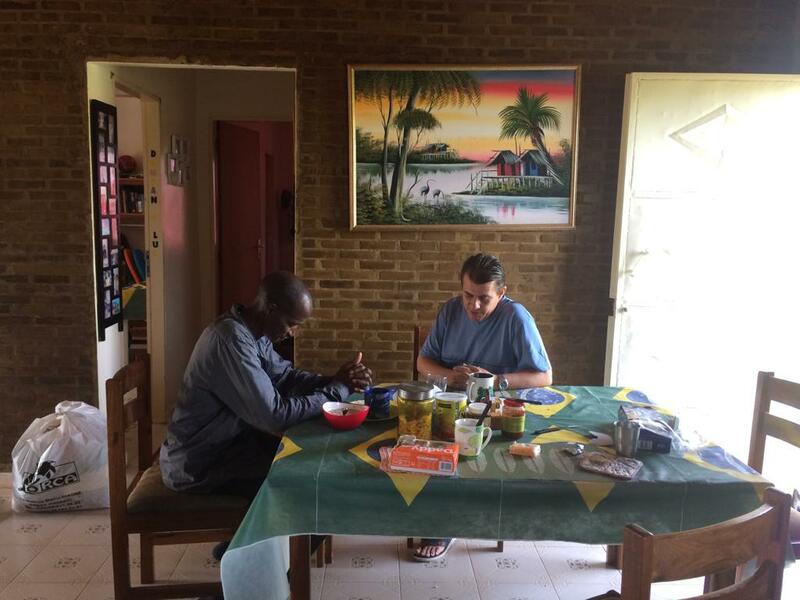 Temos este privilegio de servir a Deus e de ter respondido ao seu chamado de sermos missionários em terras Senegalesas. Depois de ter passado alguns dias com os nossos filhos e amigos em Dakar, partimos para Sedhiou na terça-feira, dia 18 de Setembro. Chegamos muito bem de viagem depois de dois dias na estrada, 800 km rodados. Chegamos em casa onde encontramos a nossa amiga Radidja nos esperando com tudo bem limpinho e em ordem. Que benção termos amigos africanos com os quais podemos contar. A noite de quarta-feira tínhamos jantado com a Familia Ureel que são também missionários aqui, e que nos receberam com muito carinho. sistema solar, e agora esta funcionando muito bem. O nosso muito obrigado pelas orações, e até aqui o Senhor tem nos ajudado. 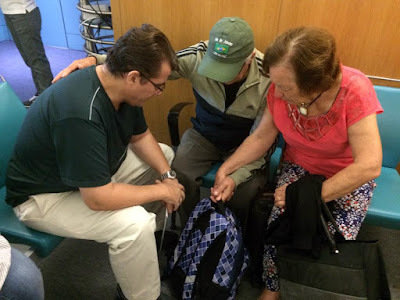 Agradecemos pela boa viagem de regresso a Sedhiou e por ter visto e experimentado a proteção de Deus durante este tempo ausente de Sedhiou. Até Breve com mais novidades, nas quais estaremos compartilhando uma atualização das nossas finanças (Já pagamos 43 mil dólares e ainda falta 22 mil dólares para sanar a nossa dívida, continuamos confiando no Senhor para o suprimento total da mesma). E tempo com a igreja manjack. We thank the Lord, our God for His power and grace in Jefferson’s life. He took care of him and right now we are back in Senegal. We thank the Lord also for each one of you that prayed and helped us with our finances. We still need to pay 22.000 dollars. And we trust that God will take care of all this debt for us. We would like to offer God a thanksgiving service for this miracle in Jefferson’s health and also to have fellowship with you brothers and sisters. I would like to invite you to celebrate with us this day. If you are able to come we are asking to bring a finger food just to have a special time of fellowship after the thanksgiving service. Rue de Ziguinchor n 2, point E.
Queridos irmãos em Cristo. É com alegria que vos escrevemos para que vocês saibam que nesta terça feira regressamos ao Senegal. 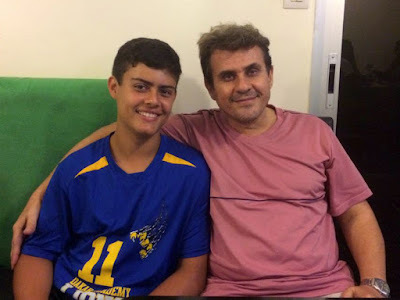 Fizemos uma boa viagem e chegamos bem a tempo para celebrar com o Lucas seu aniversário. Era o único presente que Lucas desejava ter: o pai de volta. Neste momento estamos na casa de hospedagem da “Missão Novas Tribos”, nos preparando para regressarmos à aldeia na próxima terça feira. Será um motivo de grande alegria porque os irmãos manjaks estiveram orando por ele. Este retorno significa muito espiritualmente para o povo manjak. Jefferson terá que fazer uma cirurgia no joelho direito devido uma lesão no menisco. Ele está podendo andar, mas precisa tomar analgésicos e anti-inflamatórios até conseguir realizar a cirurgia. Estamos orando para que ele faça este procedimento no próximo mês no Brasil onde estará perto dos familiares e irmãos em Cristo. Continuamos contando com suas orações por restauração física e emocional, pelo tempo que teremos na aldeia com os manjaks e pelas despesas do hospital em Portugal. Deus já supriu 43 mil dólares e nos resta agora 22 mil dólares a pagar. Louvamos a Deus por todas as ofertas recebidas e por vocês que se dispuseram a contribuir. Deus tem nos encorajado através de vocês, que fazem parte do corpo de Cristo, e que tem intercedido por nós. 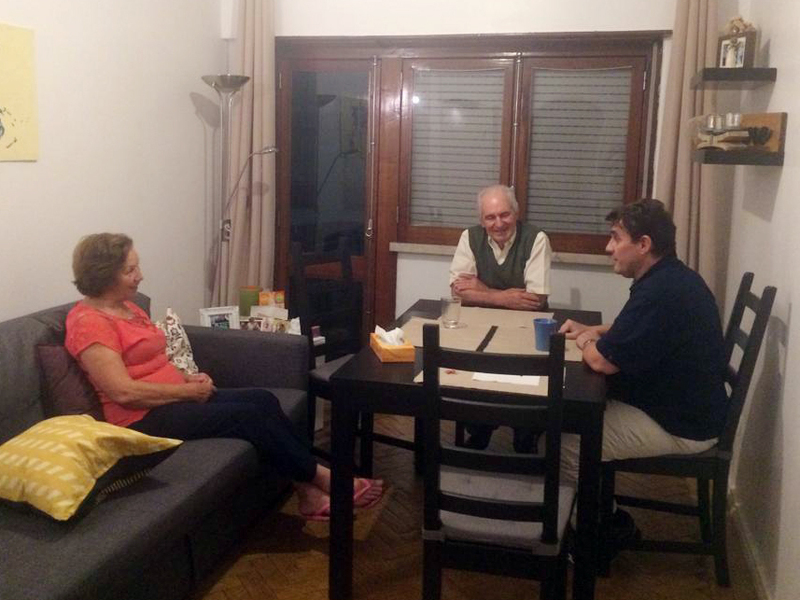 Na semana passada ainda em Portugal, Jefferson recebeu a visita de um casal de portugueses que pastorearam por muitos anos no Rio de Janeiro a “Igreja Bíblica Congregacional do Rio Comprido”, o Pastor Jorge e irmã Lourdes Campos. Eles fizeram parte da segunda igreja que o enviou à África pela primeira vez em 1994. Foi muito especial este tempo com eles. 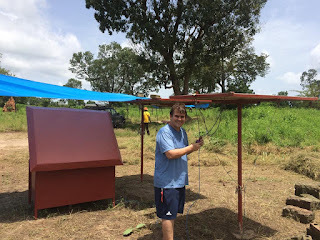 Deus também tem nos dado o que mais precisamos para vencer estes desafios que enfrentamos no campo missionário: a sua presença. Que Deus conceda a cada um de vocês alegria e desejo para servi-lo sempre! Para ajudar-nos, use uma das contas abaixo ou nosso PayPal jeffejoa@gmail.com.